Hand-picked by the best companies in the industry, YouVR is selected to partake in the Plug and Play Innovation Platform alongside rising global leaders of the Real Estate & Construction industry. 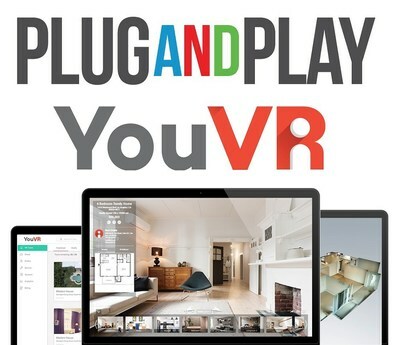 SILICON VALLEY, Calif., March 18, 2019 -- YouVR Inc., a leader of immersive digital solutions for space and a member of the Born2Global Centre, announces that it has been invited to participate in the Plug and Play Corporate Innovation Platform this year. The program has networked over 200 industry-leading corporations in various sectors (ex. real estate, IoT, construction, etc.) and startup companies since 2010 and has raised over $7 billion in funding for its communities. YouVR is selected to partake in the Plug and Play Innovation Platform alongside rising global leaders of the Real Estate & Construction industry.